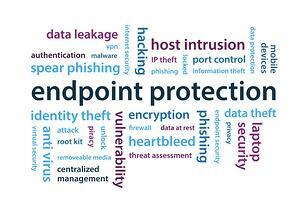 Endpoint Protection – Reactive vs Proactive? There are so many existing solutions offering ‘data security’ protection today. It can be very difficult, let alone challenging, to wade through an understanding of what they actually do and how any one or several can help you achieve a ‘real sense of security’ for the data in your business. One of the first aspects of defining your data security strategy is when and where to be ‘Proactive’ versus ‘Reactive’. SIEM - IAM - UEBM - What About Encryption? A data security professional tasked with providing secure access and data protection may find the solutions available are plentiful, complex and confusing. Do you use SIEM, IAM, some version of UEBM or a combination? Each of these are critical to providing Data Perimeter Security; enabling authorized access to critical systems so that business can be conducted both internally and externally. Data security professionals manage devices, people, various entities authorized to access applications and data at the core of the missions critical systems required to make business happy safely and securely.